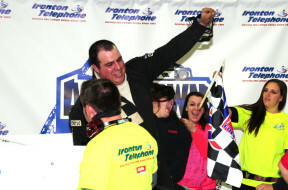 ALLENTOWN, PA (Jan. 2, 2016) – Erick Rudolph proved invincible Saturday night as he led every one of the 40 laps in the Ironton Telephone TQ (Three Quarter) Midget 40-lap feature at Allentown’s PPL Center in front of a sold out crowd. 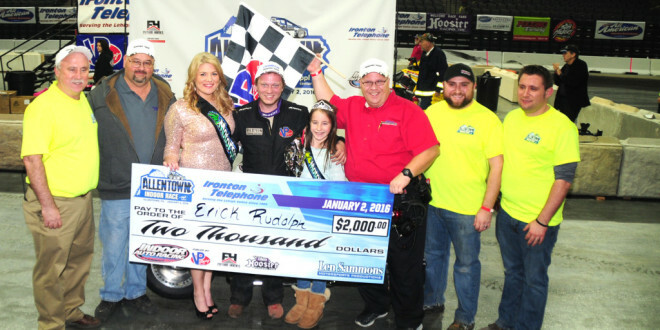 Rudolph, no stranger to victory in TQ Midget racing, managed two obstacles to perfection to win. 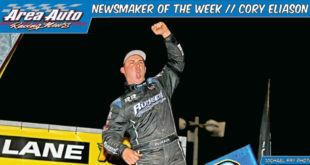 Tim Buckwalter was fifth, just behind Blewett in a torrid battle to the checkered. Another Canadian, Rob Neely was sixth. Anthony Sesely, Patrick Emerling, Jonathan Reid and Earl Paules rounded out the top ten. 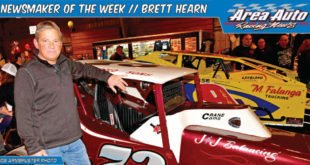 In the companion 20-lap Slingshot feature race, Eddie Reeder, a 24-year old driver from Harmony, N.J., who is an Indoor Slingshot specialist, led every lap of the way in an attrition-filled race that saw just nine drivers go the distance. Joe Kata III was the second place finisher, taking the nod with a pass on the final restart of Cody Kline. Frank Yankowski and Danny Spellmon trailed. The Indoor race was the first of its kind in the Lehigh Valley in half a century and drew an enthusiastic, standing room only crowd. 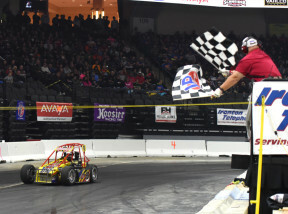 The race was the first of the three 2016 events that comprise the Indoor Auto Racing Championship Series Fueled By VP Fuels. 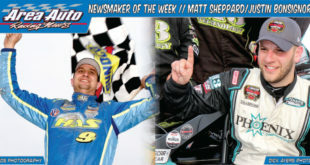 Subsequent races are scheduled for Atlantic City, N.J. on January 29-30 and Trenton, N.J. on February 26-27, 2016. 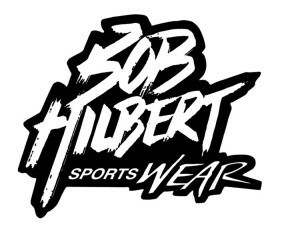 Seventy one TQ Midgets took time in the Bob Hilbert Sportswear Time Trials. Quickest was Andy Jankowiak, driving the same car he had won with last year Indoors at Trenton, N.J. His 7.514 was far quicker than Ryan Susice, Ransomville Speedway’s 2015 champion, who was second quick at 7.672. Past Indoor race winners Anthony Sesely (7.673), Ted Christopher (7.689) and Patrick Emerling (7.708) trailed. Six TQ qualifying heat races, sponsored by All American Property Maintenance, were won by Justin Bonsignore, Jimmy Blewett, Erick Rudolph, Lou Cicconi Jr., Ryan Flores and Neal Williams. Three Slinger Warehouse Slingshot heat races, presented by Pocono Raceway, were taken by Chris Kurtz after his teammate Jesse Hartman was disqualified, by Anthony Raisner and by David Carraghan. Three TQ Midget B-Mains were won by Alex Bright, Bobby Holmes, fifth fastest qualifier, who had spun out of a heat race qualifying spot after a tangle with lapped traffic. A solo Slinger Warehouse Slingshot B Main was snared by Kurt Bettler. Future Homes was the Presenting Sponsor for the night of racing. Associate race sponsors included E.G. Schneider & Son, Racing Electronics and Hoosier Racing Tires. PIT NOTES: The logistics of putting an indoor event together are particularly acute when the event is taking place in an arena for the first time. This was the case in the PPL Center in Allentown. 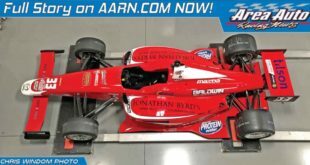 As it happened, the advertised starting time of having cars on the track for warmups – 1:00 PM – was missed by just fifteen minutes, creditable in any case and certainly for a first time operation. 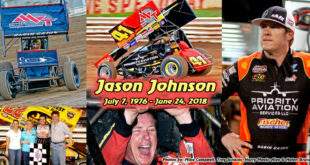 Ironton Telephone TQ Midget Feature (40 Laps): 1. Erick Rudolph, 2. Ryan Flores, 3. Mike Lichty, 4. 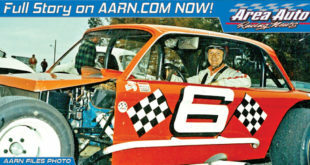 Jimmy Blewett, 5. 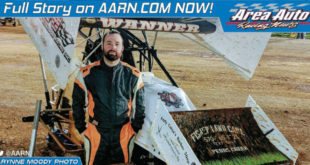 Tim Buckwalter, 6. Rob Neely, 7. Anthony Sesely, 8. Patrick Emerling, 9. Jonathan Reid, 10. Earl Paules, 11. Bobby Holmes, 12. Ryan Susice, 13. Jimmy Zacharias, 14. Lou Cicconi Jr., 15. Andy Jankowiak, 16. Dakota Kessler, 17. Pat VanVarick, 18. Sheldon Iudicello, 19. Neal Williams, 20. Ted Christopher, 21. Matt Janisch, 22. Justin Bonsignore, 23. Alex Bright, 24. Andrew Krause. 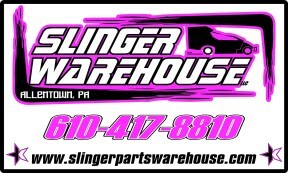 Slinger Warehouse Slingshot Feature (20 Laps): 1. Eddie Reeder, 2. Joe Kata III, 3. Cody Kline, 4. Frank Yankowski, 5. Danny Spellmon, 6. Kyle Herve, 7. Doug Maher, 8. Nick DelCampo, 9. AJ Gerhart 10. Anthony Raisner, 11. Nick Shaw, 12. Ed Stangle, 13. Matt Langbein, 14. Mike Glass, 15. Dave Carraghan, 16. Jim Housworth, 17. Kurt Bettler, 18. Tim Roeder, 19. Chris Kurtz, 20. Coby Kohler.